US equity indexes closed moderately mixed, sp -2pts @ 2170 (intra high 2178). The two leaders - Trans/R2K, settled lower by -0.4% and -0.1% respectively. 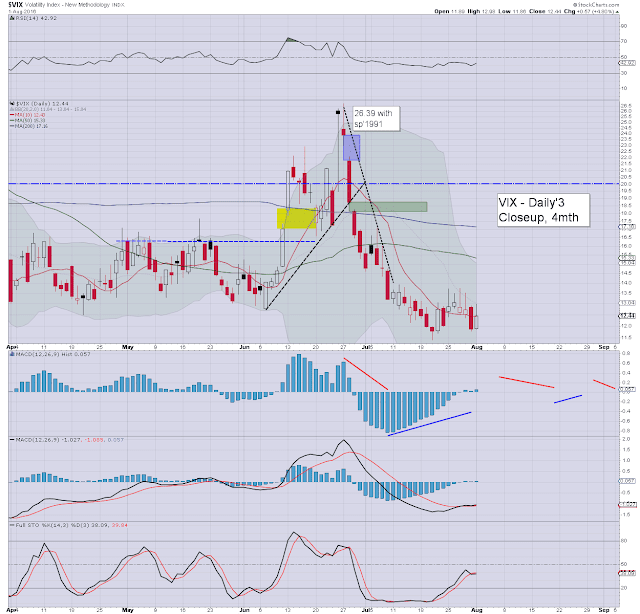 VIX settled +4.8% @ 12.44. Mid term outlook offers the sp'2225/50 zone by mid/late September. A relatively subdued day in equity land, but considering the ongoing significant weakness in oil, equities are holding together very well. 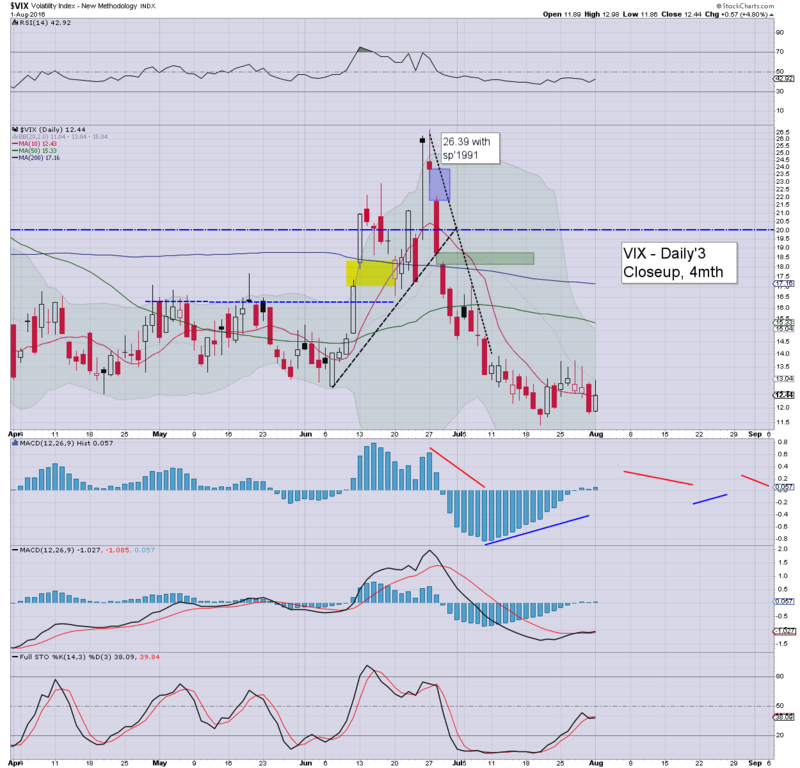 VIX saw a moderate gain, at best the 15-17s - with Jackson Hole (Aug 26th), the key 20 threshold looks out of range until at least the latter half of September. 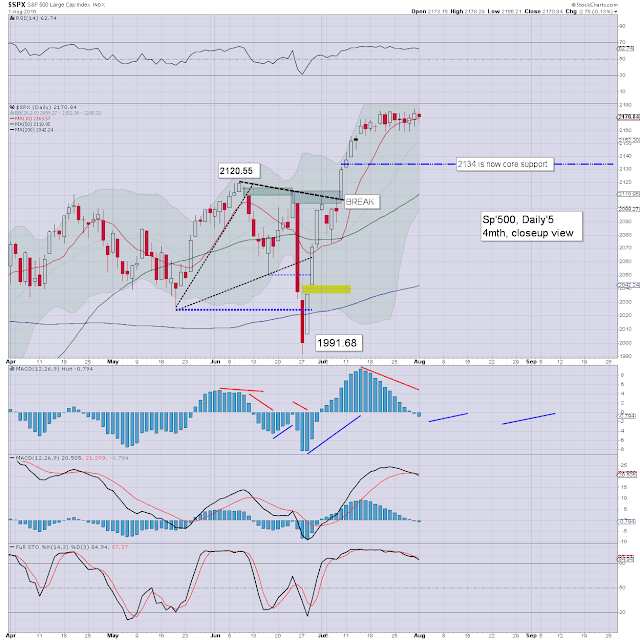 A break above the July 2015 high of 5231 looks due this month.. or certainly no later than September. 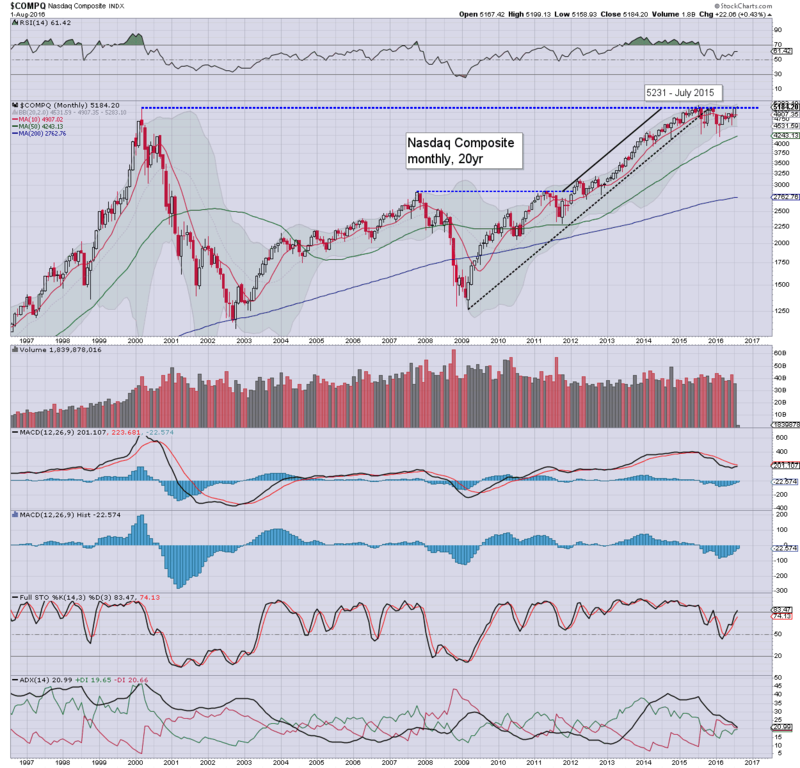 A monthly close in the 5300s should give clarity that we'll see the 6000s by next spring. 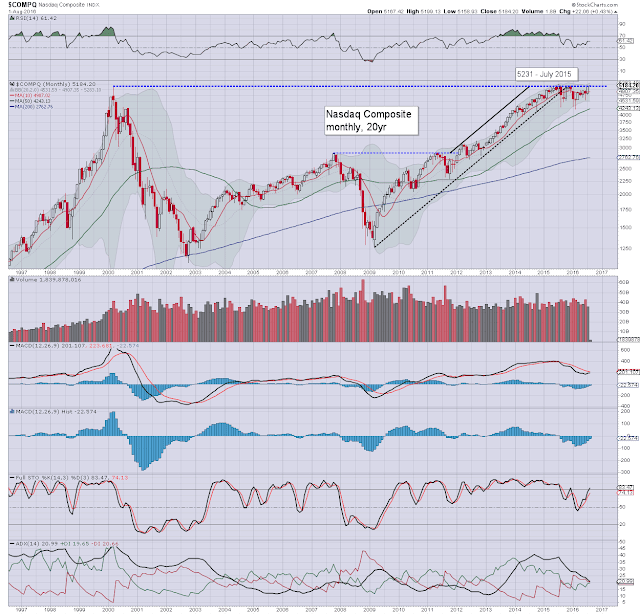 I can't be bearish unless a monthly close under the June low, which is a long way down in the 4500s. I shall end today by highlighting an interview that appeared this past weekend. Its by Hunter, with Denniger. The first half is concerned with societal issues, with the latter half mostly financial. Whether you like Denniger or not, the issues raised merit serious consideration. I did note a complete absense of the fact that the central banks could push to create hyper-inflation, which would solve the financial-exponent problems.